For all leisure or professional training purposes, our courses are your key to coping with everyday situations, whether by means of private, group or online lessons. There are solutions to suit everyone. Simple conversation on phone to activate your French expression or methodic courses, individually or by group, inside or outside your company. Get in contact, ask for information and directions, order and purchase, ask for emergency, express yourself at the doctor, etc. Develop your speaking and listening skills to a point where you can discuss and exchange ideas. Speak as the French do using up-to-date expressions. Understand and participate in your social environment. Be efficient in the workplace with up-to-date technical vocabulary. Private lessons: 35€/h, 40€/1h30 for 1 pers. Incl. documents, tea/biscuits ! Flexible timing. Let’s make a tasty pastry together and learn the know-how and little tips in cooking French authentic dishes. 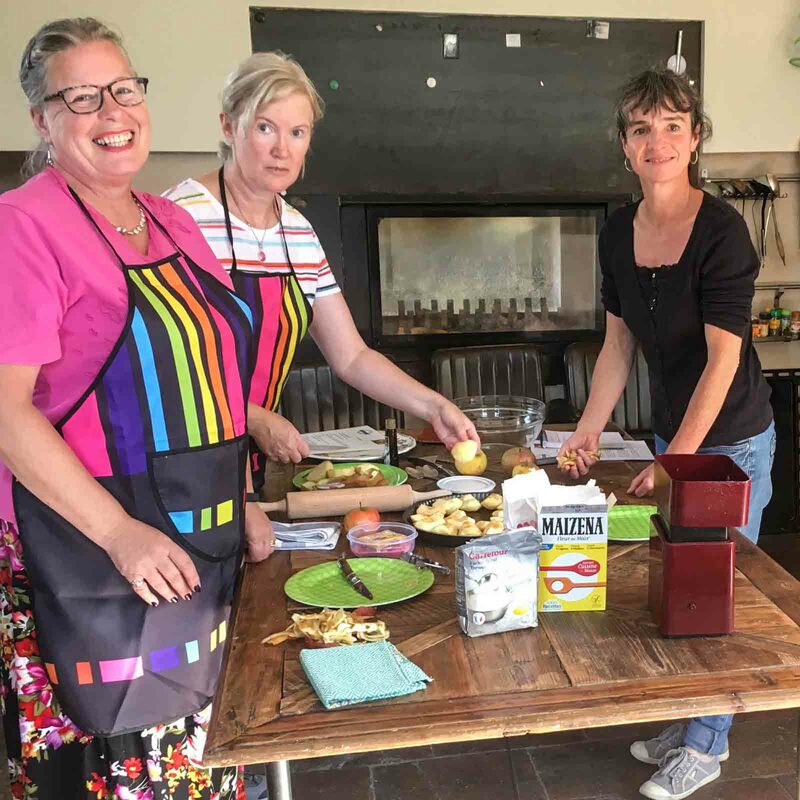 Whilst acquiring the skill to produce home-made Choux à la Crème, Tarte Tatin, Baba au Rhum, etcetera, you will learn French expressions and the vocabulary of cooking: ingredients, utensils and recipes. Finally, eat your pastry with a cup of tea and take some away for your friends.You will be given the step-by-step recipe and all documents related to relevant vocabulary. 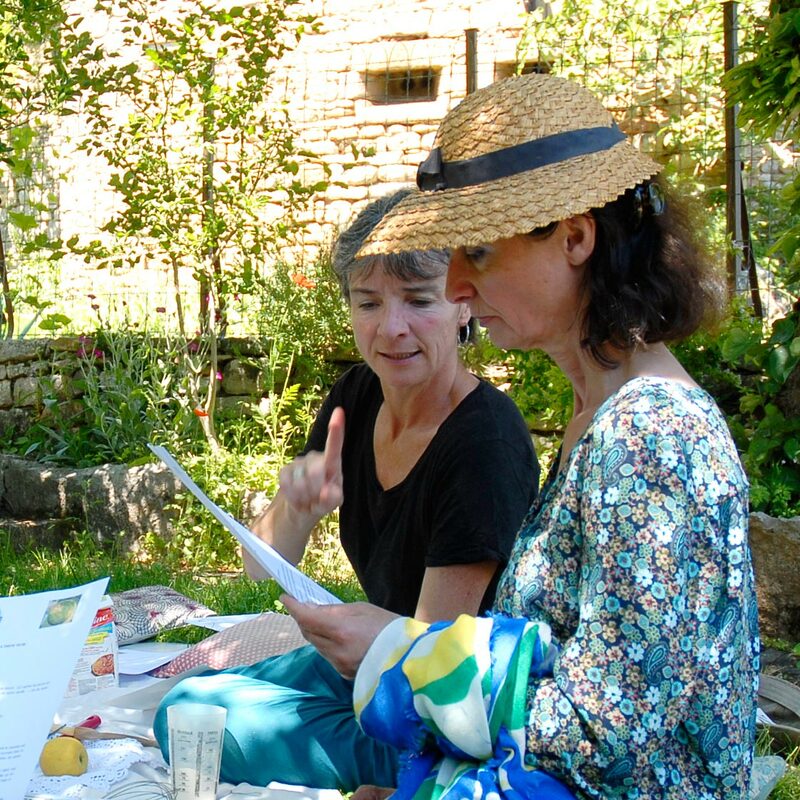 Our classes take place in a rooftop kitchen in mediaeval St Antonin Noble Val, with a terrace and stunning views of the famous cliffs of the Gorges de l’Aveyron. 50€/pers incl. organic ingredients, documents, tea/coffee/drinks, My French Pass apron. Special group rates. Southwest France is famous for its wonderful markets and villages. Visit a local village and learn something of its history. 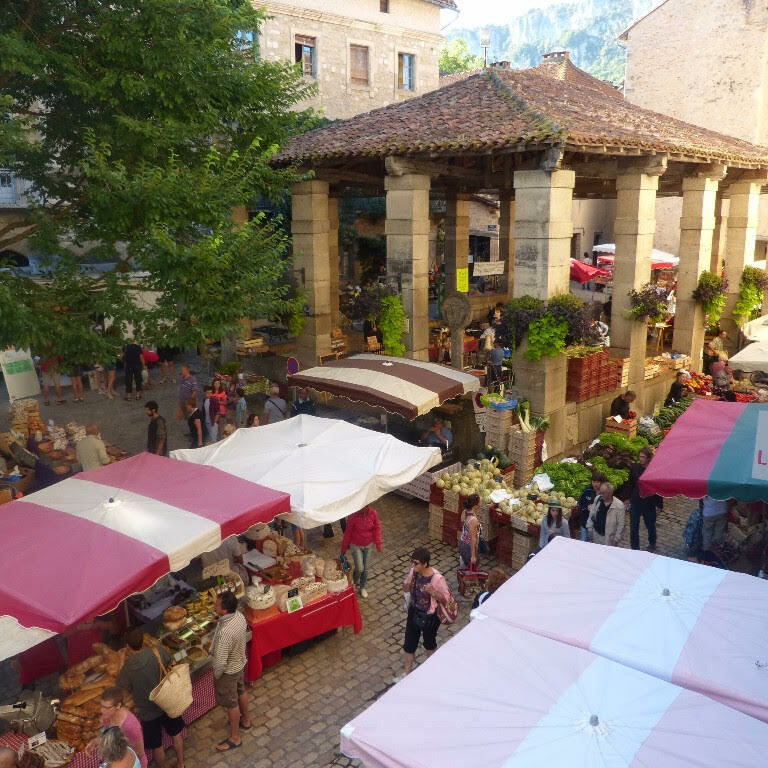 Shop for healthy produce at the market, meet local producers and gardeners and afterwards picnic by the Aveyron river where you may dip in your toes or even swim… all that while practising your French : a total cultural experience ! 50€/pers incl. organic picnic, drinks/coffee. Special group rates. Let’s hike and picnic on shepherds’ paths in stunning landscapes. Learn the vocabulary associated with nature and geography. Also technical information: gear, maps & orientation, specific track markings in France, the physical effort involved in hiking, and the benefits. Enjoy a traditional and healthy picnic (vegetarian on-demand). 50€/pers incl. map copy, organic picnic, French documents, My French Pass souvenir. Learn and improve your knowledge of French culture, history and values. Practise your French in preparation for the usual questions asked by the Prefecture representatives. CPAM procedure, phone calling, hairdresser or shopping, can be a tricky adventure when you don’t speak the langage. From 1 hour till several weeks, let’s see how we can help you ! 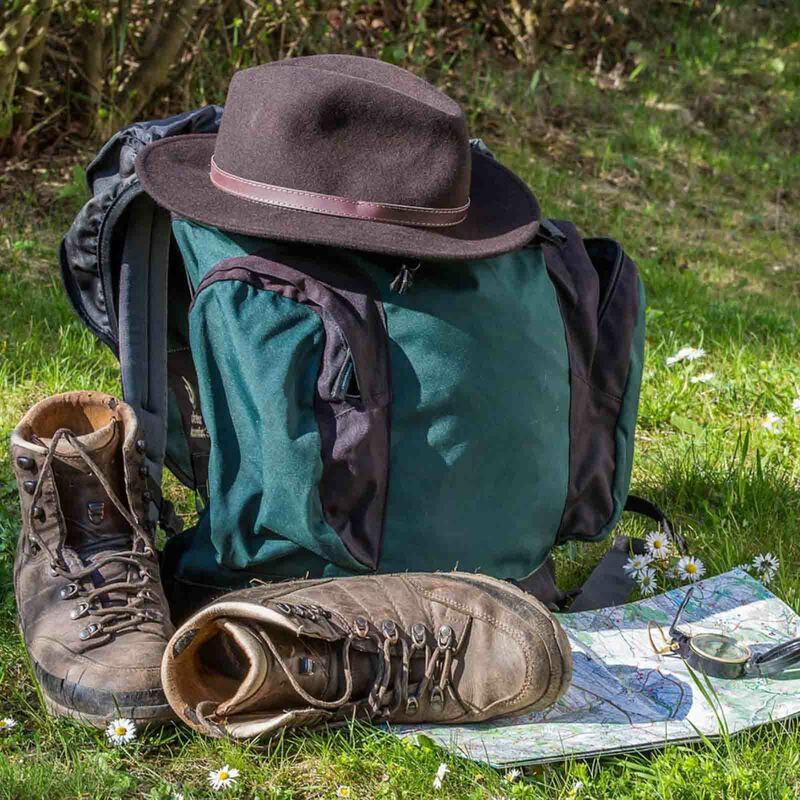 Hike in French and picnic in gorgeous landscapes. Learn a lot of vocabulary. Southwest France is famous for its wonderful markets and villages.